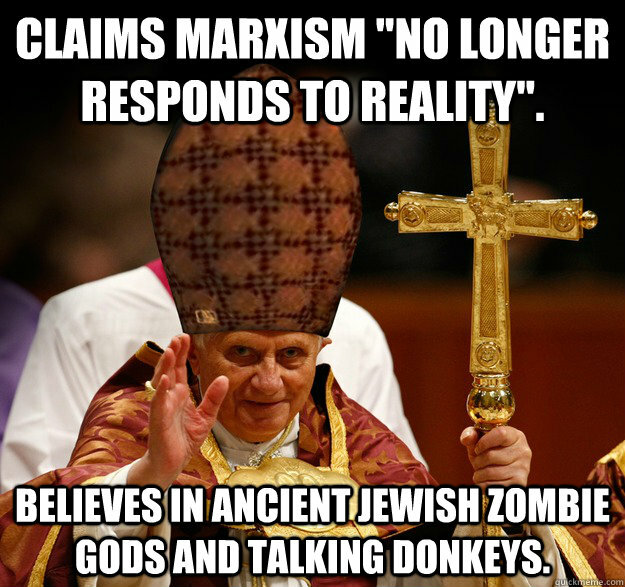 Claims Marxism "no longer responds to reality". 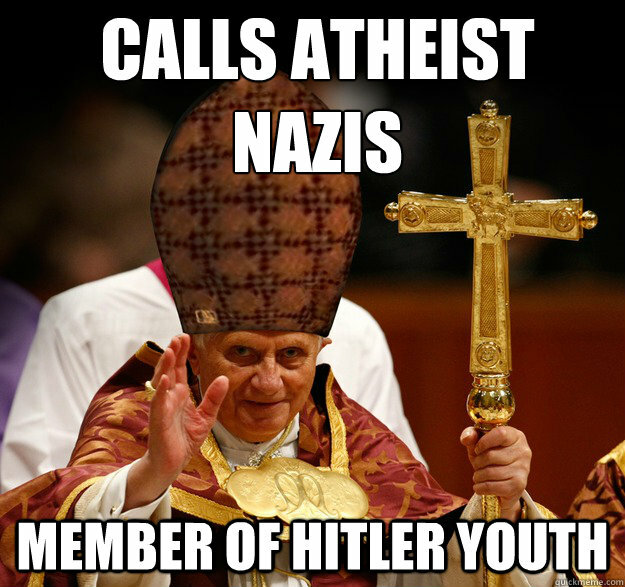 Believes in ancient Jewish zombie gods and talking donkeys. 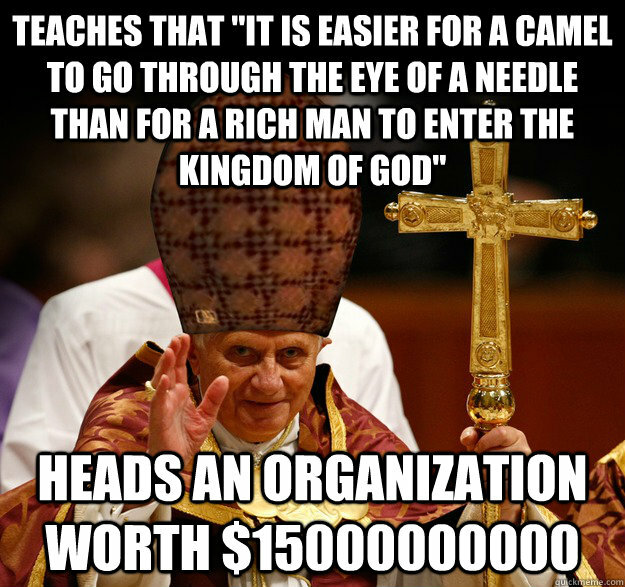 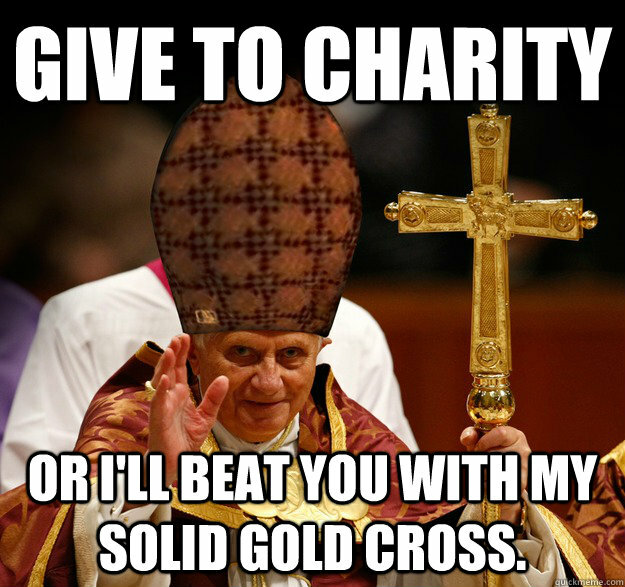 give to charity or I'll beat you with my solid gold cross. 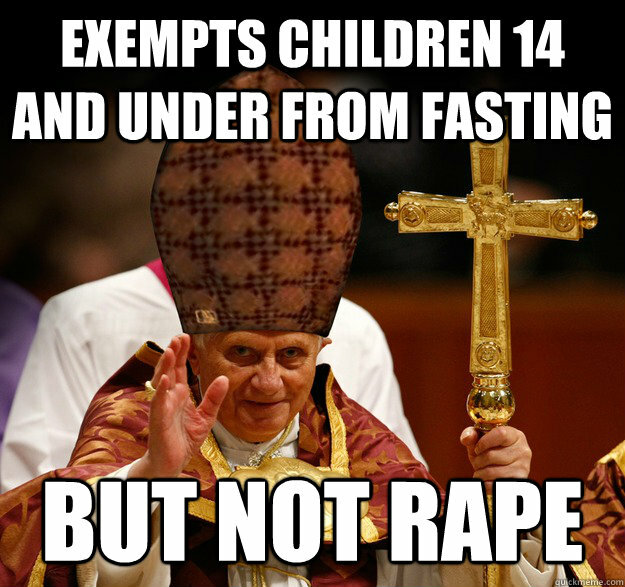 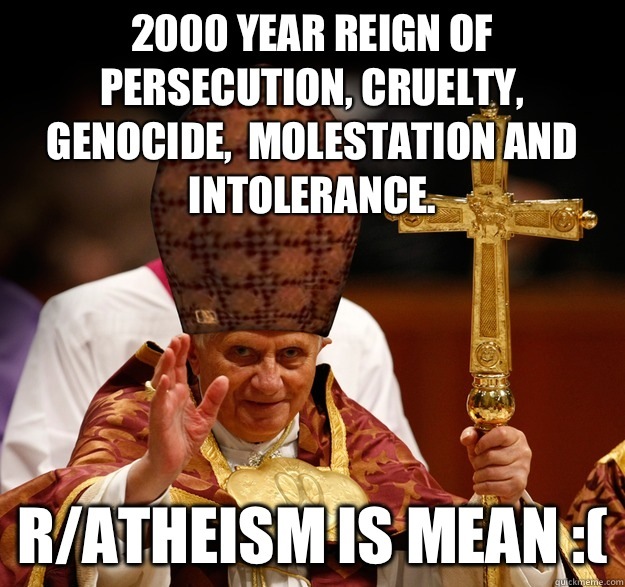 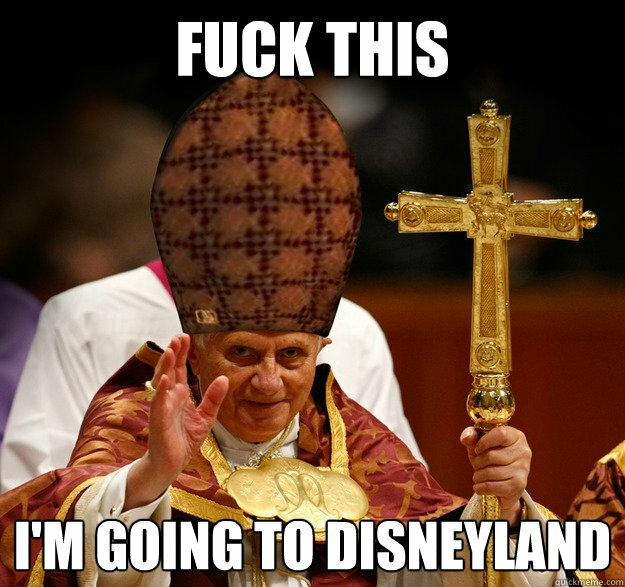 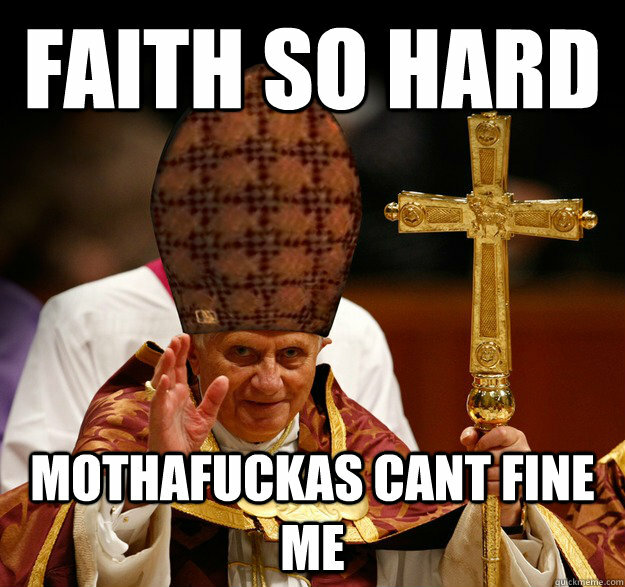 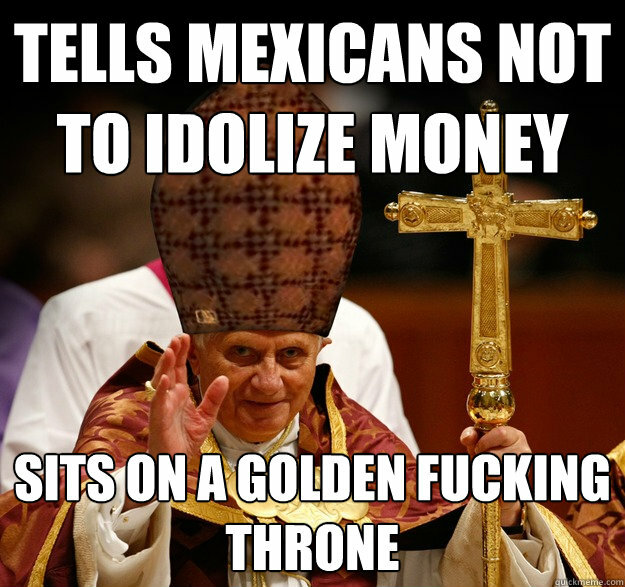 Repeated some old nicety about atheists that other popes said first. 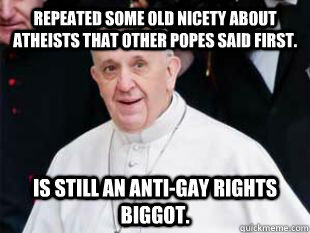 Is still an anti-gay rights biggot.